Equity and debt providers each have their own investment criteria and thresholds concerning the size, sector, location and stage of development of a business. Companies seeking to raise capital need access to the most suitable financial investor. Corbett Keeling has devoted very considerable resource over the past 25 years to building strong relationships with over 200 providers of equity, debt and similar funding. We will work with you to assess whether your business is suitable for a funding and the value to put on it. We will help you develop or improve your business plan so that it includes all the areas that a potential investor would need to consider before financing the business. We will assess the management team and advise you on how to complete it if necessary. We can also guide you on the level of investment, if any, that management should offer as part of the transaction. We will recommend the most appropriate private equity, debt and similar funders for you to meet and help you assess the funding offers you receive. We will help structure funding so that it works for the long term. At the same time as negotiating with possible funders, the business receiving the funds will normally also have to agree terms relating to the business or asset to be financed. These negotiations will be going on in tandem and can be extremely delicate with the outcome of one directly affecting the other. Corbett Keeling is highly experienced in advising businesses and management teams on this "chicken-and-egg" situation, agreeing terms with both funders and vendors at the same time. We will be your project manager on the transaction, liaising with the specialist legal, tax and due diligence advisers involved so as to leave you, the management team, as free as possible to focus on running the business. Fundings are like riding a horse in the Grand National. Every time you jump one fence, another presents itself. We will lead all parties over the various hurdles to completion, normally in a timetable of a minimum of three and a maximum of 12 months. Development capital may be required for a variety of different types of opportunity, triggered by market, technological or management change. There may be a possibility, with funding, to turn a business around following a period of difficulties, or a window for growth as a result of far-sighted decisions that have positioned your business in a new, expanding market. You may be pursuing a buy and build strategy and require development capital to acquire competitors. Whatever the situation, extra cash will often be key to unlocking the future potential and making the most of the opportunity. We understand the issues involved and the timescales to which management is often operating in such circumstances. Corbett Keeling has the ability and experience, drawing on our access to funding and knowledge of fund managers’ requirements, to advise you on raising capital, whether debt, mezzanine or equity, on the best possible terms. Companies sometimes need to restructure their capital because trading is not going as well as planned, in which case they may ask debt providers to convert their loans to equity. Conversely, when trading is going well, companies may seek to re-finance expensive equity or debt funding by raising cheaper debt to repay part or all of the existing funding. Corbett Keeling has extensive experience in advising clients on financially restructuring their company. We have spent many years building strong relationships with providers of equity, debt and similar funding and are able to draw on this valuable access to funding to introduce our clients to the most appropriate sources of funds. In this way, and by using our in-depth knowledge of the funders' requirements together with our understanding of our client's business sector, we ensure our clients achieve the optimal balance of equity and debt for their business on the best possible terms. Corbett Keeling, in association with the RM2 Partnership, has advised Arbuckles, a successful restaurant with branches in Norfolk and Cambridgeshire, on its sale to an Employee Ownership Trust. Arbuckles operates two restaurants in Ely and Downham Market, with a focus on American cuisine. Corbett Keeling advised the founders and other shareholders of Air Charter Service Group Limited (“ACS”) on the sale of a minority stake in ACS to private equity investor Alcuin Capital Partners (“Alcuin”). 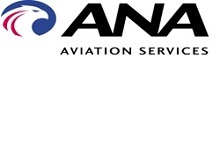 ACS is a global leader in the aircraft charter market. Founded in 1990 by Chairman Chris Leach, it now employs a worldwide staff of more than 350 employees across 20 offices spanning six continents. The group offers private jet, commercial airliner and cargo aircraft charters, arranging more than 10,000 charters annually. Corbett Keeling advised Alpha Financial Markets Consulting, a leading provider of consulting, benchmarking and implementation services to financial institutions in the UK, Continental Europe and globally, on the sale of their business to UK Private Equity group, Baird Capital, in a transaction valuing the company at £28m. This deal is a good example of the resurgence of Private Equity ("PE") interest in consulting firms with a strong growth history. 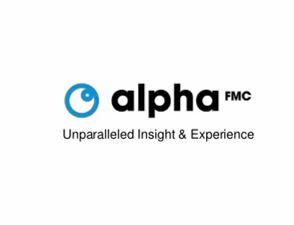 Alpha attracted eight offers from the PE community and the shareholders chose Baird because of the flexibility of the deal structure, the financial resources they could make available and the support that Baird offered the management team in taking the company to the next stage of growth. Explore Learning, the UK company with multiple English and maths tuition centres, led by founder Bill Mills, was sold to Graphite Capital. The controlling shareholding was acquired from a group of investors including the Spectrum Venture Management Fund and Wittington Investments Limited. Bill Mills and the senior management team re-invested the majority of their stake in the company. Corbett Keeling has worked with Bill Mills, who set up Explore Learning in 2001, over many years and advised him throughout the sale process and particularly on the terms of his reinvestment in the business. Ultra Motor, a developer of electric bikes and scooters as well as electric motor technology for commercial use, raised development capital. Corbett Keeling advised Ultra Motor on this fund raising. Cordium (previously known as IMS Consulting), a provider of consulting and business support services for the wholesale asset management and securities sector, was sold to an investor led management team comprising both existing and new directors. The Buy-in Management Buy-out, or “BIMBO”, was backed by Sovereign Capital. Corbett Keeling advised Scott Wilson, the founder of IMS, and his co-shareholder, on the strategy for the sale of their business and on the execution of the transaction. 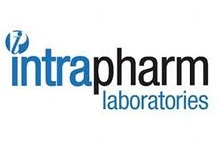 Gordon Laboratory Group, a provider of pathology services, raised development capital. Corbett Keeling advised Gordon Laboratory on this fund raising. Efficio, a management consultancy focused on procurement and supply chain optimisation, secured a debt-financed equity release in order to provide funding for its shareholders. Corbett Keeling advised Efficio on this fund raising against a very tight time frame. Creative Metal Coatings, a provider of metal coating and treatment services, raised private equity funding from EPIC Investment Partners. Corbett Keeling advised Creative Metal Coatings on this equity fund raising. Harris Hill, a recruitment consultant specialising in the charity and not for profit sector, was sold to a management buy-in team backed by YFM Private Equity. Corbett Keeling advised the shareholders of Harris Hill on all aspects of the sale of their business, including identifying possible buyers, negotiating terms and managing the process throughout. I2r Packaging Solutions Ltd, a company that designs and manufactures food packaging products, raised venture capital funding. Corbett Keeling advised I2r Packaging on this fund raising. Keswick Enterprises, a UK-based private equity investor set up in June 2004 by John Harvey CBE and associates to invest in logistics and supply chain-related businesses, arranged an acquisition finance facility. Corbett Keeling advised Keswick Enterprises on this fund raising. Satec, water and waste water treatment specialists, raised development capital. Corbett Keeling advised Satec on the strategy for raising finance. 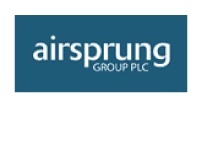 Airsprung Furniture Group plc, a leading UK bed manufacturer, sold a minority shareholding to private investors. Corbett Keeling advised on the sale of this shareholding. Explore Learning, provider of maths and English tuition to primary school aged children, raised development capital. Corbett Keeling advised Explore Learning on this fund raising. Aspace Solutions, a provider of business security solutions and specialist consultancy services to the banking sector, raised equity funding and sold a minority stake to a trade backer. Corbett Keeling advised Aspace Solutions on this shareholder restructuring and equity financing. Opus Holdings Limited, a regional insurance broking and group benefits consultancy business, refinanced mezzanine and senior debt. Corbett Keeling advised Opus on this transaction. iDCorp, a company involved in the research and development of individual track and tracing equipment, raised equity funding. Corbett Keeling advised iDCorp on this fund raising. Linguaphone, a provider of self-study language learning products and associated support services, raised development funding from a consortium of institutional investors, including Inflexion Ltd. Corbett Keeling advised Linguaphone on this fund raising. Opus Holdings Limited, a regional insurance broking and group benefits consultancy business, refinanced equity, mezzanine and senior debt. Corbett Keeling advised Opus on this transaction. Radiant Networks, the pioneer of broadband wireless mesh technology, raised development capital from a group of institutional investors, including Advent Venture Partners and existing shareholders, Intel Capital and Sandler Capital. Corbett Keeling advised Radiant Networks on this fund raising. Euroceltic Airways Ltd, an operator of a regional airline in Ireland, raised development capital. Corbett Keeling advised Euroceltic Airways on this fund raising. GB International Ltd, a distributor of optical and photographic equipment, was sold to Multivision GmbH, a German distributor of presentation products. Corbett Keeling advised the owners of GB International, including Yorkshire Fund Managers, whom we had originally introduced to the business four years previously, on their exit strategy, identifying and introducing possible purchasers and leading the negotiations with the trade buyer. Radiant Networks, the pioneer of broadband wireless mesh technology, raised development capital as a convertible loan. Corbett Keeling advised Radiant Networks. TEG Environmental, a designer and supplier of silo-cage systems for composting organic waste, raised equity funding. Corbett Keeling advised TEG environmental on raising finance. Daisy & Tom, the specialist children’s retailer, raised funding as a convertible loan. Corbett Keeling advised Daisy & Tom on raising funds and restructuring existing capital. Radiant Networks, the pioneer of broadband wireless mesh technology, secured second-stage financing from a range of institutional and private investors, including Advent Venture Partners, Intel Capital, executives of Kohlberg Kravis Roberts and Sandler Capital Management. Corbett Keeling advised Radiant Networks on this equity fund raising. Virgin Cars Ltd, trading as virgincars.com, an online service launched by Virgin Group to provide a total motor vehicle sales and after-sales package, raised development capital. Corbett Keeling advised Virgin Cars on raising development capital to support the launch of the business. Radiant Networks, the pioneer of broadband wireless mesh technology, raised development capital. Corbett Keeling advised Radiant Networks on raising this funding. Advent Capital, an insurance underwriter, raised equity funding by way of a rights issue. Corbett Keeling advised Advent Capital on this transaction. GB International Ltd, a distributor of optical and photographic equipment, raised equity and debt with release of personal guarantees from Yorkshire Fund Managers and a group of private investors. Corbett Keeling advised GB Internationial on this fund raising. 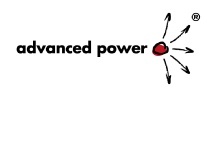 Radiant Networks, the pioneer of broadband wireless mesh technology, raised start-up funding. Corbett Keeling advised Radiant Networks. 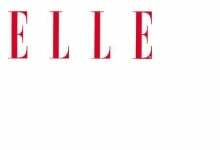 Actif Group, distributor of branded dancewear and UK licensee for Elle, raised equity and debt finance and issued one A share to Ted Baker plc. Corbett Keeling advised Actif Group on this fund raising. CASEwise Systems Ltd, a developer of software to help improve business processes, raised equity capital from a syndicate of institutional and private investors. Corbett Keeling advised CASEwise on raising this finance. Corbett Keeling advised Linguaphone on raising development capital over three successive funding rounds. It was the lead financial adviser on these transactions, providing necessary continuity throughout and ensuring a good balance of shareholders.